Looking for a gift for a small one on that holiday shopping list? Walmart has a GREAT BUY on the Baby Einstein 9-Piece Discovery Toy Set. You can pick up the bundle pack for ONLY $20 right now. Considering that each of these toys are SOLD separately for $5 plus, this is a SUPER STEAL! 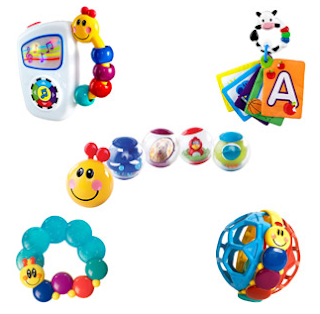 For example, the Baby Einstein Pillar Roller Activity Balls sell for $14.35 on Amazon.